Cute girls. Cats. Candy. I love all those things, and I know I’m not alone in that. Put them all together and magic happens — Nekopara. Currently available on PC in four volumes, the Neko Works title will be coming to the PlayStation 4 and Nintendo Switch in Japan in Q3 of this year. My PC struggle is real — namely, I hate the platform because maintenance is infinite — so I am always excited when a title I’ve been eyeballing is launched for PS4. Nekopara is one of those titles that I’ve been following for ages but haven’t played yet. While this announcement is currently Japanese-only, my fingers are crossed that the title comes to PS4 for Western audiences. 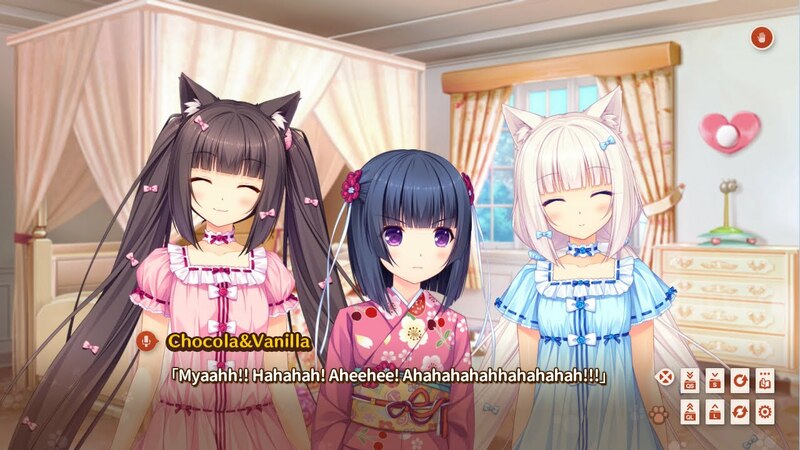 Nekopara is best described as a comedic visual novel. You open a confectionery with the help of two lovely cat-girls, each with strong personalities and opinions. This isn’t the kind of visual novel where your choices will have lasting consequences; it is more traditional in the sense that the storytelling is linear. 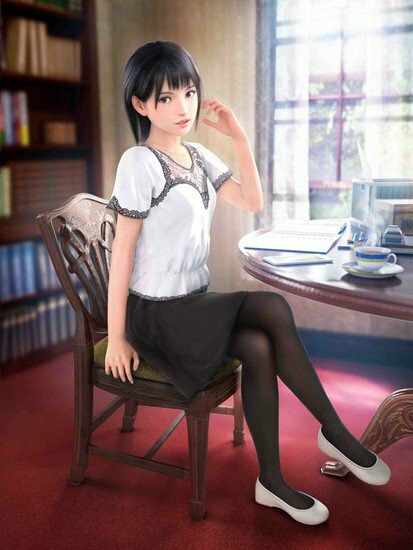 Summer Lesson is one of my favourite VR games to date. A simple management simulator, you play as a tutor, and your job is to design a week’s worth of study exercises for a girl in order to help her pass her end of year exams. While it might sound like one of those voyeuristic “dating” games, in practice it’s actually not creepy on any level, and it does an amazing job of rendering believable characters to interact with. The first was localised into English and released into Asian markets, so if you don’t understand Japanese you could import it from Hong Kong to still enjoy the full experience. We weren’t sure if the two sequels would get a similar treatment… and now it’s been confirmed that they will. Both games will be released in English over the course of 2018. No specific dates at this stage, but I’d be assuming one in the first half of the year, and one in the second. Obviously, they are both VR-exclusive titles. Exciting! My obvious love of visual novels continues with this news: Pure Wish has announced Song of Unleash for PC and PlayStation 4. Set to debut in Japan next year, the title follows the developer’s Song of Memories which was released in Japan last year. 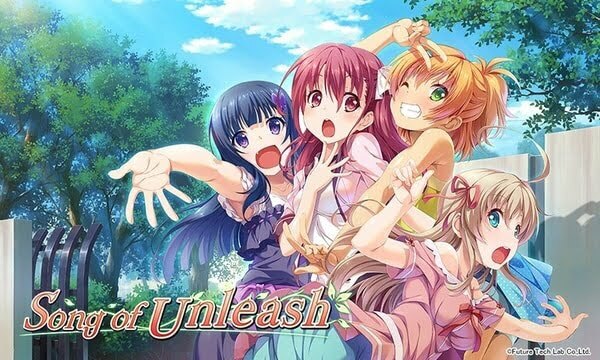 Set seven years following the events of Song of Memories, Song of Unleash follows a protagonist with amnesia who wakes up in a hospital bed surrounded by four girls, three of which claiming to be his sister despite not being related to each other. Are any of them really related to our dear protagonist? And can he regain his memory? The Steam version of Song of Unleash will be available worldwide but as of now only the Japanese PS4 version has been announced. Don’t worry, though, as a press release states that the title does have a planned overseas (Western) release for the PS4 and “other platforms” — I’m predicting a Nintendo Switch version of both titles. The post-release support for VOEZ, already the best rhythm game currently available on the Nintendo Switch, has been really impressive. There has been numerous free updates, with each one adding additional music to the experience. 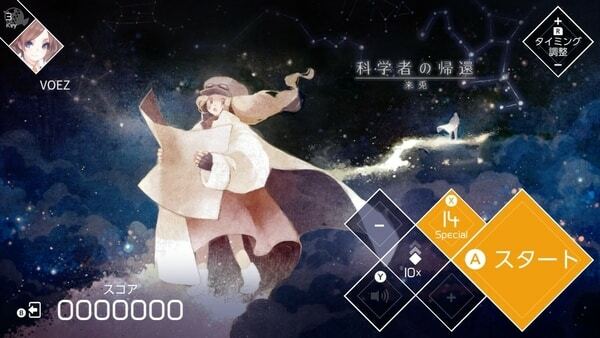 In February, there will be another free patch for VOEZ, which will add another 14 tracks to the playlist. That brings the total number of music tracks in VOEZ to 176. Last week there was also an update that gave the game controller and docked mode support. Previously, the only way to play VOEZ was to play it in handheld mode. I have no idea how it would actually work with a controller as the gameplay requires some incredibly fast movements of the fingers across the screen, but I’m going to assume the developer nailed it. Everything else about VOEZ is pure quality after all.